When beginning of / mid-May SEO analysts observed “dancing SERPs” worldwide, it apparently didn’t have anything to do with long announced mobile update. Many people in the SEO scene believed to literally see ghosts and therefore talked of it as the “Phantom update” or the “Phantom update II”. Google confirmed by then, that there had been “changes” in the algorithm, but didn’t specify anything. 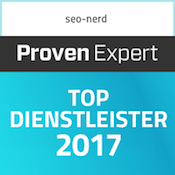 Since the consequences were quite severe in parts, the seo- nerd with his team of the Berliner SEO agency have put together what is known about the “ghost” update until now. Beginning of / mid-May there have been stark movements in the Google SERPs. Sites that have gone down in the ranking for a longer period of time, moved up again suddenly. Other sites lost visibility, on the other hand. As happened many times before in the past Google only gave a statement about these movements a few days afterwards. The concern from Mountain View didn’t want to call it an update in the beginning, but then admitted that there have been changes in the core of the algorithm. 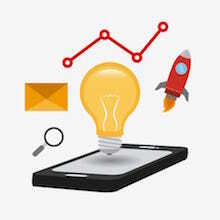 At this time the SEO scene had given the changes a name already, though, alluding that no one could explain what these “bungee jumps” of some sites were all about (up to 80% loss of visibility, on average 10-15%): the “Google Phantom Update” was born. 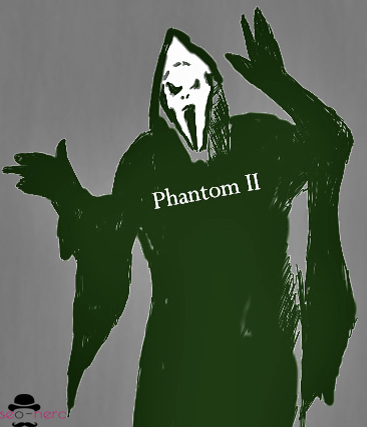 In the Anglo-American areas it was referred to as “Phantom Update II” often, though. For almost 2 years ago, in May 2013, there have similarly “dancing” SERPs without Google giving out anything. The happening has been named “Phantom Update” already then, why the term “Phantom Update II” is more correct for the algorithm changes of 2015. Similarly inconsistent as the name of these most recent Google changes are the analyses of the SEO scene. Some speak of an accident and said that some sites had recovered in the ranking. When considering the published analyses worldwide, nothing supports this hypothesis. Although nobody can say for sure up to now what effects the Phantom Update II will have for sure, there are already hints though, which we have summarised in the following. The update particularly affects the way Google evaluates the quality of a site. In contrast to the Panda update, for example, (which Google wants to update in the next weeks) the Phantom Update II is no filter. Hence there’s no sieving through sites (e.g. following the motto “too sparse content has no chance for a high ranking”), but the quality signals themselves are newly weighted against each other. Exactly that makes it so difficult to name the consequences of this update. For at the end of the day a too sparse content now probably leads more often to a worse ranking. The Phantom Update II doesn’t affect the whole domain as such, but operates on the level of (sub-) sites. For affected webmasters this is calming only in the rarest cases, since the domain will usually lose visibility anyways. In the beginning, SEO analysts thought of the Phantom II as a refresh of Panda updates, since many sites previously affected by Panda were also damaged by Phantom II. 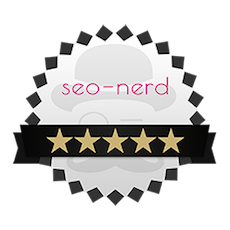 Panda was an update, with which Google emphasised and favoured the content quality of a site. After all considerations both updates have pretty much the same aim: Google wants to lead users to sites that can be seen as of high quality. The differentiation between the updates makes sense for website owners, though, since Google has announced a refresh for Panda in the coming weeks. To work on the quality of their sites will pay off for all website owners in the time to come. “How to” sites were also affected by the Phantom Update II, which have a lot of content, but are often shared on other sites – for instance in comments. It seems to be quite a problem for Google where the content is originally from. The danger to get “duplicate content” via comments has apparently increased. Vice versa user-generated content can also lead to a “dilution” of the own content. In the ranking, a lot of sites that present too much advertisement also crumbled. Especially pop-ups, but also automatically playing videos or audios had a negative effect on the ranking since Phantom II. It is to assume that many users bounce off these rather annoying sites. Nobody likes having to close pop-ups and having to find the video throwing out some tunes you haven’t asked for, right? The bounce-rate being more weighted now surely is part of the Phantom Update II. Especially since this criterion is particularly important for mobile users. 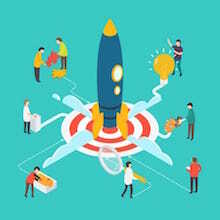 The buzz word mobile also hovers above the realisation that sites on which actions like purchasing a product can be done directly are the winners of Phantom II as a whole. This is complemented by the fact that sites that only inform, on the other hand, as typical affiliates sites (with tests and reviews) do, have broadly lost visibility. As Google has reacted with its mobile update to the increasing numbers of mobile users with their changed searching behaviour, Phantom II might target at the same direction. After all, it’s way less fun on mobile devices to click from one site to the other. Therefore, Google might rank suppliers which the search requests lead to with direct purchasing options of products (e.g. men’s shoes black) higher soon. However, this change is certainly dependent on the specific keyword group. If you as an online shop owner think now you can lie back you are on the wrong track. The analyses also show many supplier sites that have lost; and this probably as a result of too sparse and too little content. As too “sparse”, content can be described if it only contains the most basic information about a product. When offering a printer for example, topic-related terms like “operating system”, “colour”, “connections” should be used. The product should also be described and not only be meaninglessly presented with a picture and technical data. 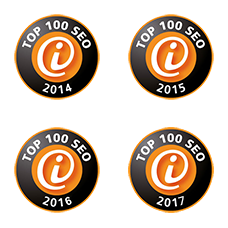 A few sites have lost visibility despite having strong content and not being affected by one of the above mentioned criteria. A less appealing design was noticeable, though, on these sites, that obviously has not been updated for many years and reminded one of Yahoo! Directory a little bit. To this finding it also fits that sites with many 404 errors were affected by Phantom II, which is a further sign for neglected sites. A change resulting from the most recent „adjustment“ of the algorithm is linked to local search. Google relies more on browsers with local search now, as it seems. Search terms like “shoes Berlin”, “SEO Hamburg” will be made redundant soon. The browser is so to speak implemented over the IP address and the location service. When searching for shoes in Berlin, one will automatically receive search results specifically for Berlin. That’s the theory at least. If this will take off and users will receive search results that way permanently, they are looking for, will first have to be proven. For terms like “bakery”, “painter” or “restaurant the local search certainly is a standard, but this doesn’t count for all keywords. The Phantom Update II continues the Google strategy to say good-bye to simple ranking factors like the number of links to a site. Instead it gets more and more refined, and more carefully weighted, which content is interesting based on a specific query. For site owners this means they have to further optimise their content strategies – and that does not mean just more content (= more text), but precise, appropriate and keyword-relevant content. When paying attention to that you may lie back and relax also for the announced refresh of the Panda update.